The WMS Postgraduate Research (PGR) Academy provides a thriving and dynamic community for our research students to train and undertake world-class biomedical research. Students benefit from cohort training events, an annual symposium to showcase their work and support for conference attendance. Take a look at the projects available now. 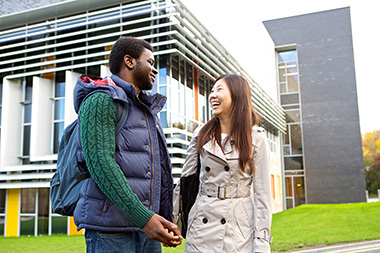 We welcome applicants from the UK, EU and Overseas for our programmes. A four year degree programme (MSc + PhD) in multidisciplinary science which aims to develop new techniques and methodologies and apply them in creative ways to solve real-world problems. Offering PhD Studentship projects in research areas such as food security, bio-energy and industrial biotechnology. Please feel free to contact Dr Andy Blanks or Dr Nick Waterfield who lead postgraduate research in the Division. They can support applicants with their application and provide further guidance on funding opportunities.